I joined the Army over 15 years ago and knew that I wanted to be a “PARA.” After successfully passing basic training I then went to jump school at RAF Brize Norton, where I got my first taste of parachuting. My first jump was a solo static-line jump from a C130 Hercules at 800ft and I was immediately hooked. 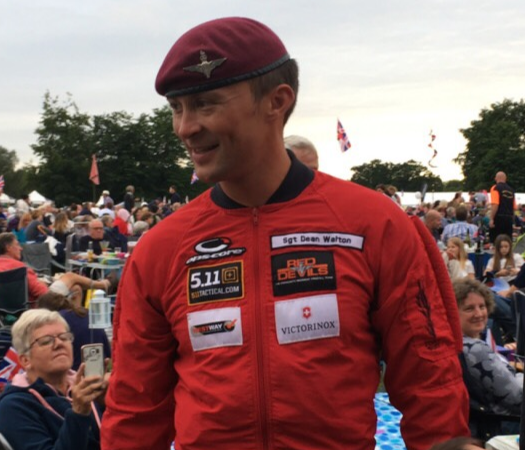 Years passed and after multiple tours in 2016 I was given the opportunity to join the world’s most famous parachute team, a role that I am proudly still in to this day! Training is the most important part of being a Red Devil. Throughout the year. we are expected to perform in front of millions of people globally and you only get one shot. When vertical wind tunnels started to open in the UK, as a team we immediately recognised their importance and how utilising them would allow us to perform more amazing in-air performances to impress our audiences. The military also regularly use wind tunnels now as the training benefit and low cost means we can train a person in freefall well before they jump from an aircraft. Wind tunnels have meant we can train in a safe and controlled environment, practice in-air maneuvers and correct any problems quickly. In 2018 the military decided that as they were using the wind tunnel so regularly, they would have their own wind tunnel instructor. They approached the Red Devils and asked if there was anyone who would like to fill the role. I was extremely lucky to be selected and I then went to iFLY Manchester to attend the International Bodyflight Association (IBA) Instructor Course. I had flown in the tunnel before but over the course of 4 weeks I learnt how to operate the tunnel, take first time flyers in, as well as coaching techniques to help other professional flyers improve and perform new tricks. The instruction I received was world class and helped me not only with my personal flying ability, but I also learnt new ways to coach others. I was very proud to pass the course and become the Ministry of Defence’s first tunnel instructor. An IBA instructor is a globally recognised qualification; there are not that many of us and many do not pass. When you first become an instructor it doesn’t mean the learning stops, in fact its only just begun! There is so much to learn with the sport of indoor skydiving which is why so many people from around the world love it. 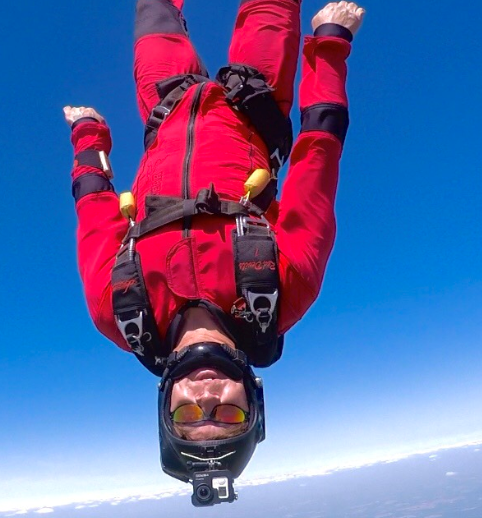 Since qualifying I have been very fortunate that the Red Devils and iFLY have allowed me to share my time to make sure I can be the best instructor I can be. I now work part time at iFLY Basingstoke, which means I can continue to improve my personal flying and coaching techniques whilst also moving up the instructor levels. It’s a great place to work whether I am taking a class of first-time flyers or I am training Red Devils and other units from across the military. It has been a fantastic first year and I am looking forward too many more!